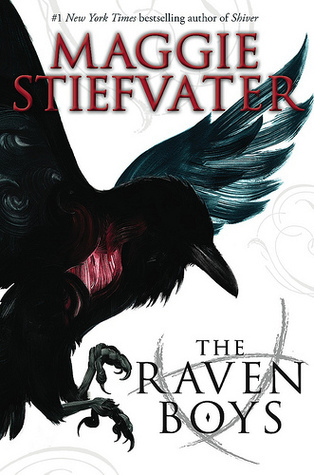 Just a little under a week ago, I reviewed The Raven Boys by Maggie Stiefvater. In general, I am a huge fan of Maggie and her works, and The Raven Boys was certainly no exception! I was very excited when the girls in the BEA Book Club and I decided to make this our read for September. For this month's discussion, we each asked a question about the book - and we're posting the answers on our sites! So, after checking out the question I asked and our answers, go and check out Shanella's site and AJ's site to see some more of our discussion. I asked: Which Raven boy did you feel like you could relate to the most and why? Shanella said: Would it be awkward if I say Noah? I didn't feel very caught up in Gansey's quest for the lost king, and I feel often that I would have been the one on the sidelines, a bit like Noah, just living and doing my own thing. Everyone else was caught up in Gansey's quest, but I couldn't get as excited as they were, though I did enjoy their enthusiasm. AJ said: Probably Adam. I think I rooted for him the most, but I was also frustrated with him the most because I kept wanting him to accept Gansey's help and get out of his home situation. I guess I relate to him the most because he struggled the most, being an outsider trying to scrape by in the prestigious world of the Raven boys and their school. I said: Honestly, I think I would probably relate most to Gansey. I'd like to think that it's mostly because of his pursuit of knowledge, but it's mostly because, like him, if I set my sights on something, I will do absolutely anything I can to accomplish it (though I might not have his resources and connections). I also think that, despite being slightly meddlesome, he generally has good intentions for his friends. If you've read The Raven Boys, who's the Raven boy you can relate to the most and why? And if not, I highly encourage you to read it! I haven't read Raven Boys yet but I'll keep these questions in mind as I read. OOC What is the BEA book club ? I still need to read this one--it's been sitting on my shelf since BEA. Not enough hours in the day for all these books! Ha, I just realized how many times I used the word 'most' in my answer!